Yep, like clockwork it’s the end of summer and Labor Day weekend. Yes, as always summer was five minutes long and you are wishing in retrospect you took more time off. Well, you didn’t and what a summer it was for you to be strapped to your desk with an ear to the worldly ground hearing all the job market developments. Summer started with a job report in May that was so scary that some clients would not hire. Then openness to hire improved dramatically, quickly with each month passing. Now the labor market experts are highly optimistic for heading into Q4. We are seeing that companies are much less in fear of adding new jobs and the “purse strings” might, in fact, be loosening. Yes, to hire great talent as a talent acquisition expert you need to be tapped into the most competitive salaries to secure the best people. Simple equation; you get what you pay for. Most private firms and most of our clients remained focused on growth. Though the jobs are highly targeted and the interview processes are in some cases painfully long, the client’s are hiring. We thought this summer would be rough at the start but it proved completely different. Just a complete influx of searches with no true common thread other than client’s want smart, experienced, passionate candidates who have done their research and can add value day one. Makes sense to me. So where do you find the people to match these jobs? For us as recruiters, one of the coolest trends which we are seeing starting to blossom is watching the after effects of Brexit take place. We are working on some senior level searches and the local, usual suspect talent have all been tapped. Our clients do not want them right now. Clients want to see fresh faces who know “the turf”. Enter the ex-pat who is feeling the belt-tightening post Brexit. 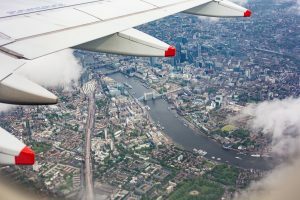 We have a few candidates who are based in London now and want back to The States because their clients are pulling back their billings and their Supervisors are battening down the hatches for what’s inevitably coming next. This new focus on recruiting talent is such a cool development for us. Private companies who are the core of the US economy will now have the opportunity to add a worldly view to their marketing teams and plans. Companies who hire these ex-pats can truly be trendsetters in their space. What an incredible leg up on the competition this can provide to your marketing team. The economy is stable, not rocketing and there is certainty that small business will adopt the best talent to keep themselves competitive. So rather than grabbing Dunkin Donuts with your colleague, hopefully, you’ll be splitting a scone.